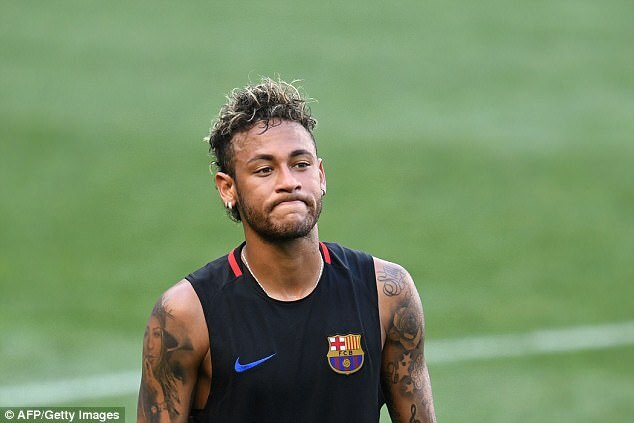 Barcelona’s board are all but resigned to losing Neymar in the biggest transfer in football history after club president Josep Bartomeu appeared to fail in a belated attempt to change the player’s mind. 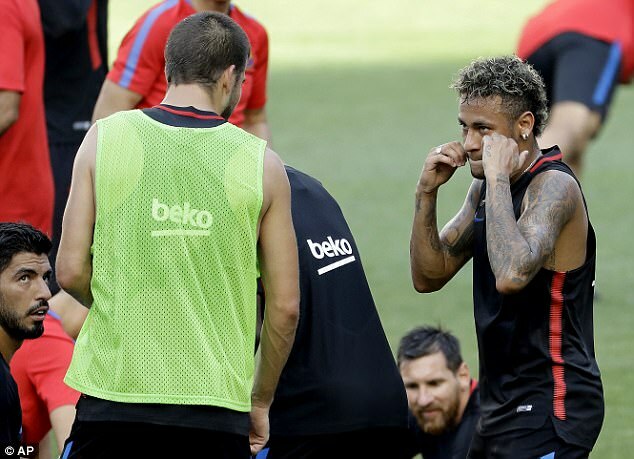 Sources who witnessed the head-to-head at the club’s summer training base in New Jersey on Friday say it did not go well for Bartomeu, who departed looking less than happy with what he had been told by Neymar. Spain’s Diario AS said the meeting lasted 15 minutes and when the president left he barely acknowledged those waiting for news of how the summit had gone. 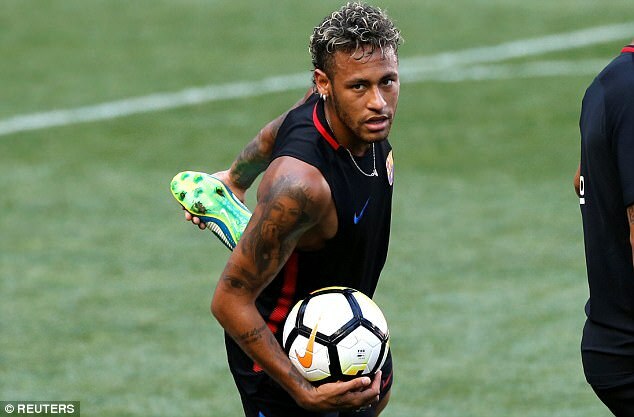 The club’s president now accepts that only a stunning change of heart from Neymar can prevent his departure and Barcelona’s priority is to try to take control of a situation that has caught them by surprise this summer. 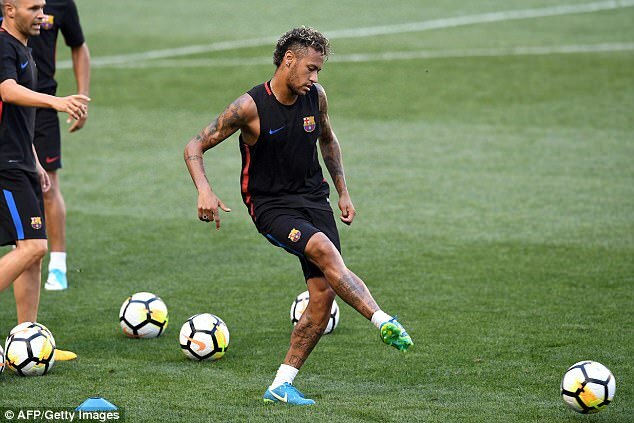 The club have grown used to Neymar’s complaints about not being comfortable at the club almost since he arrived in 2013 but most gripes have been seen as a push for a pay increase. Last season the player flirted with various clubs including Paris Saint-Germain but he was ultimately appeased and ended up signing a new contract until 2021 with a buy-out clause that rose to €222miliion (£196m) on July 1 of this year. The only other potential obstacle to the deal of the century happening is that PSG have trouble making that payment to the player so he can deposit his buy-out clause with the league. One option is that they pay the fee in various stages directly to Barcelona instead of registering it with the league as buy-out regulations in Spain stipulate. 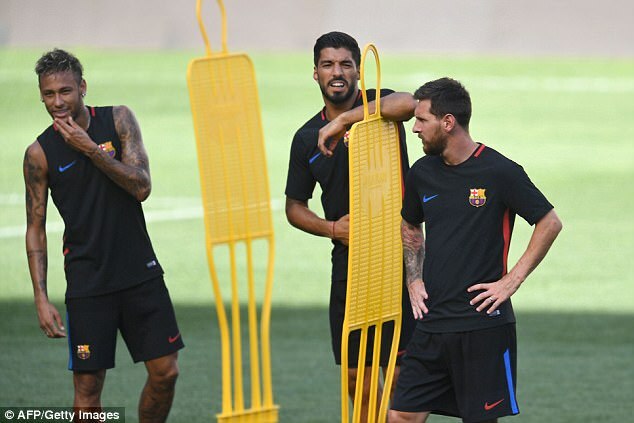 This would help them around the FFP regulations but Barcelona are unlikely to be in any way cooperative as they see their second most important asset pack his bags for Paris just a month ahead of the new season. 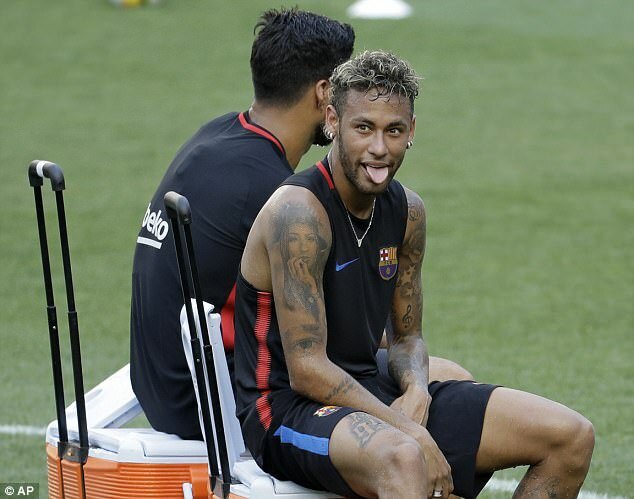 Meanwhile, the future of Neymar continues to dominate the agenda on Barcelona’s pre-season tour to the USA, but the Brazilian star cut a relaxed figure as they trained in New York on Friday. 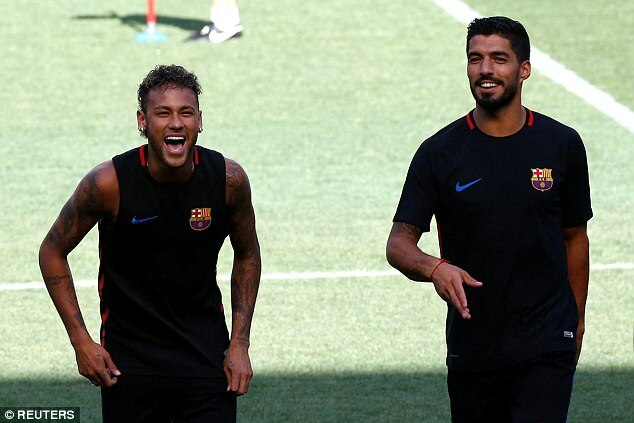 Despite PSG’s mounting interest, Neymar travelled with his team-mates to America earlier this week and look in high spirits as he trained in the mid-afternoon heat. ‘Neymar is with us and we absolutely want him to stay here, the rest is just rumours,’ the Barca manager told a press conference. 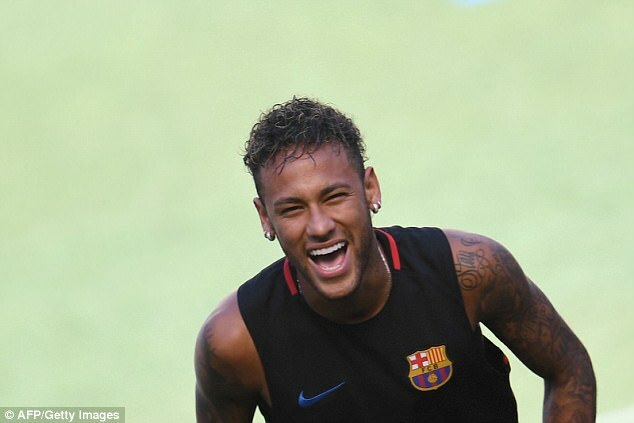 ‘[Neymar and I] have talked but about other stuff, such as tactics and stuff related to that.